nd wood-panelled interiors, giving customers a warm and relax feeling when staying here. Each lodge displays the excellent service quality for which Amankora is renowned. Suites are designed with open-plan bedrooms and living rooms, king-size beds, window seats and traditional bukhari wood burners and ensuite bathrooms. A selection of Bhutanese, Western and Indian dishes are served at all five Amankora lodges, using local ingredients such as yak meat and fresh honey from the Bumthang Valley. Also, private dining can be arranged to suit guests needs, indoors or outdoors, for intimate dinners or group celebrations. Unique spa therapies in Amankora’s five lodges deliver a truly Bhutanese experience, using Himalaya herbs and plants at the core of treatments. Massage facilities, steam baths and yoga rooms are available at all lodges, and additionally a hot stone bath and sauna can be found at Amankora Paro. Amankora Paro is only 30 minutes from the Paro International Airport. A clear view of Mount Jhomolhariand, the ruins of the ancient dzong, can be seen from the lodge. The lodge’s architecture features natural rammedearth walls, gently sloping roofs and woodpanelled interiors. Centred by a large flagstone courtyard, a lime-washed stone pavilion houses the living and dining room facilities, library and outdoor terrace, all warmed by fireplaces. Situated near the capital’s sights and shopping district, Amankora Thimphu still remains in a quiet area away from the liveliness of Bhutan’s main commercial centre. The resort’s dzong-inspired architecture incorporates whitewashed stone buildings accessed through an enclosed arrival courtyard. Stairs lead from this entryway to a combined Living and Dining Room with soaring ceilings and wood-panelled walls. Amankora Punakha is only a short drive from the giant 17th-century Punakha Dzong and Puntsho Pelri Palace. The large compound is designed around a traditional Bhutanese farmhouse. The Dining Room is on the ground floor, and the upper floors provide guests with relaxation areas and a traditional altar room for prayer and meditation. Amankora Bumthang is located in the town of Jakar in the Choekhor Valley, next to the first and second King of Bhutan’s palace, Wangdichholing. The lodge is set within an apple orchard with pear trees along its boundary with the Palace. A dzong-inspired hallway at the lodge’s entrance opens onto a library and the comfortable Living Room, – with lounge chairs, daybeds and traditional bukhari. The floor-to-ceiling windows offer views of a landscaped courtyard adjoining the shared Palace grounds. Adjacent is the regally-appointed Dining Room with its soaring ceiling. The courtyard is shaded with fruit trees, making it a perfect place for alfresco dining. Near the village of Gangtey, Amankora Gangtey can be found in the Phobjikha Valley. The combined Living and Dining Room features cosy chairs, sofas and family-style dining tables, looking out over the valley and surrounding mountains. Six Senses Hotels Resorts Spas operates in 19 countries and are known for their professional service provided to customers. 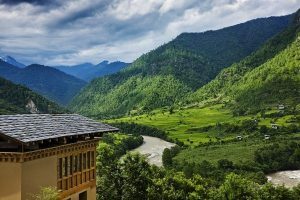 Five individual satellite resorts in five separate locations are five unique experiences crafted into one enchanted journey of Bhutan culture and nature. The lodges are designed with the emphasis on peace, comfort and luxury for guests. The 82 suites and villas of Six Senses are located between five intimate lodges. Guests can visit the rich heritage and hospitality of these resorts and spas in Thimphu, Punakha, Gangtey, Bumthang and Paro. Each lodge of Six Senses in different destination is a unique experience for guests with a specific theme. 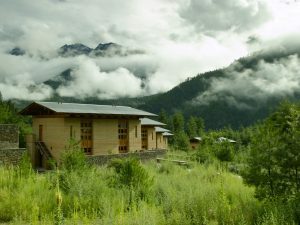 The five lodges are connected together to create a journey through the tradition and culture of Bhutan – The Happiest Place on Earth. Starting from the capital of Thimphu, the place shows the appreciation for Bhutan culture with wood paneling, whitewashing and natural stone, decorated with handcraft items. Next stop is in Punakha, with the theme of the Bhutan traditional farmhouse, using mud brick features in the bathrooms, light fittings made from mason jars and woven bamboo feature walls. Staying in Gangtey is the experience of suits with timber floors and accented walls, leather chairs and footstools. The uniqueness of this lodge lies in the setup of the bird-watching bridge, crafted from local stones. The Bumthang lodge is located within verdant woodland, giving guests the feeling of living as one with the surrounding nature. The suites are designed with patterned timber walls and warm recycled wooden floors. And Paro is the fifth stop in this journey. Six Senses builds this lodge with hewn stone walls and fireplaces contrasted with mid-tone vertical timbers. The gathering spot here is a great location to get to know other guests and to share your experience of Bhutan. The perfect combination of local architecture with modern designs and surrounding nature will fascinate you and complete your journey in Bhutan. 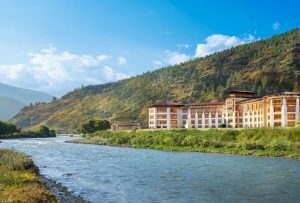 COMO Uma operates two lodges in different destinations in Bhutan – Paro and Punakha. The lodges are designed to enhance the beliefs of quite comfort and surrounding one’s self with the nature. With 18 bedrooms, two suites and nine exclusive private villas, COMO Uma Paro is outstanding in their design and service. Pared-back interiors are accented by local artisans combining with COMO’s clean-lined contemporary style. Arriving to COMO Uma Paro, you will be amazed by their attentiveness to the smallest details and the professional of the staff. Bukhari restaurant serves wholesome COMO Shambhala Cuisine, Western, Bhutanese, and Indian dishes. Even the royal family is enticed by the restaurant’s international dishes, making it their regular place to dine in. 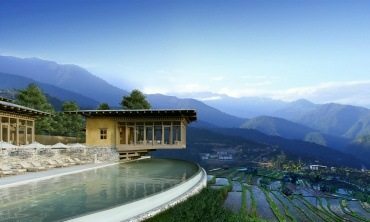 You can find at Uma Paro substantial COMO Shambhala Retreat therapies. These treatments are developed by COMO Uma with the help of experts. Yoga and meditation is an important element of the experience as well as Asian-inspired treatments incorporating Bhutanese traditions in holistic wellness – reflexology, Ayurveda, massage and facials. COMO Uma Punakha settles at the far western end of the verdant Punakha valley, with a view of the snake-like bend in the Mo Chu river. The view from the lodge is simply picturesque and breathtaking. Similar to the architecture of COMO Uma Paro, the Punakha lodge is enhanced with delicacy under the hands of artisans, bringing the comfort of nature and embedding the beauty of Bhutanese culture in every detail. With 9 valley view rooms, 1 one-bedroom villa and 1 COMO villa, you will not be disappointed when spending your time with COMO Uma. The Bukhari restaurant here serves a wide range of choices with local ingredients, with some Western-inspired dishes and the COMO Shambala Menu. COMO Shamaba Retreat, located in a woodland glade near the hotel, offers diverse treatment therapies for a deep relaxation of body, mind and soul. Taj Tashi is located in the heart of Bhutan – Thimphu capital. The design of this hotel is a charming blend of Bhutan architecture and modern style. All 66 rooms of Taj Tashi offer magnificent views over the mountains and some also with the view of the Thimphu valley. Hand-painted murals of clouds on the walls are small detail but a very elegant one, giving out a sense of Bhutan tradition in the rooms. The Bhutanese cuisine served here is of the high quality to deliver the best experience to guests. It will be unforgettable memory to gaze at fountains, tapestries, prayer wheels and lush mountains while enjoying the tasty Bhutanese dishes. You can spend time chilling in the hotels’ bar or tea-lounge area, or take a trip down to the Jiva spa. The hot stone treatment tubs will take you to a world of wellness while unique handmade combination of wooden and marble antiques leave you enthralled with the country’s elegant culture. The convenient location of Taj Tashi will only require a short walk to get to the local markets. Also, ancient monasteries, lively street festivals, picturesque mountain passes and pristine nature are all in the short distance from Taj Tashi, making the hotel an ideal base if you are to stay in Thimphu. Taj Tashi is a five star hotel with owns 62 rooms, from deluxe rooms to luxury suites. With its famous service, the hotel can please even the royalties, the King or Queen may sometimes stay here. 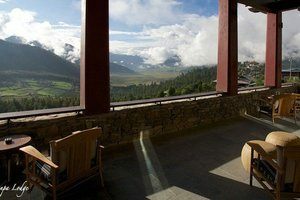 Zhiwa Ling is situated in the Paro valley, covers ten acres of land with spacious rooms for guests. The hotel’s design ultimately combines the distinctiveness into every corner of this place. 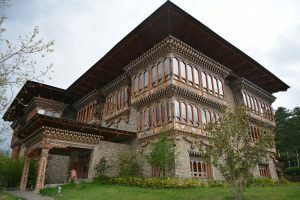 The main building is built in the tradition of a Bhutanese Dzong with intricate carvings, paintings and antique Bhutanese textile collections. Every detail of the hotel is handmade. The hotel also has beautiful gardens with trout-filled pond, wild flowers, local plants and trees. Zhiwa Ling’s Buddhist in-house temple is used in many special occasions includes Lhab Sang Puja. The temple is on the second floor of the building. Paying the temple a visit is a nice way to learn more about Buddhism heritage in Bhutan, with statues of masters, saints and lamas. There are two restaurants in the hotel – Lingka (Merry Making) and Gawa (Happiness). At Lingka and Gawa restaurants, you will be amazed by their multi culture cuisine, from buffets to a fine three-course meal. After that you can treat yourself with a drink in the Mad Mink Bar. If you wish to have a spa session to relax your body and mind, head to the Menlha Spa and try a traditional Bhutanese outdoor hot-stone bath for a heavenly experience. Also, make use of the other facilities like fitness centre, sauna and steam room while staying at Zhiwa Ling. Nestling between the pristine landscapes of Gangtey valley, Gangtey Goenpa Lodge is the can’t-miss destination for a luxury trip in Bhutan. From the lodge, you have the view over the whole Gangtey valley and the Gangtey Monastery. The Monastery was built in the 17th century, and now it is the biggest Nyingmapa (Buddhism school) in the country. Inspired by the architecture of Bhutanese farmhouses, the uniqueness is showed with stone floors, exposed brick walls and dark wooden beams and windows. The interior decoration presents the vibrant Bhutanese rural culture, giving a soothing and comfortable atmosphere for guests. The lodge only has 12 rooms, but all of them are none the less luxurious with the beautiful natural sights right outside the windows. The 12 beautifully appointed guestrooms, each with their own cosy fireplace and spacious private bathroom, reflect the rich cultural heritage with warm fabrics and earthen tones. The informal lounge and dining space with wall to ceiling, offering guests views of the valley below are the heart of Gangtey Lodge. Plush leather sofas and rich fabrics will tempt guests to lounge around and share with others their day of adventures around two impressive fireplaces encased in local stone. Le Meridien owns two hotels in Bhutan – one in the capital of Thimphu and one in Paro. Both of the destinations are the most developed cities in the country, compact with famous attractions and exquisite landscapes. The Le Meridien Thimphu composes of 78 spaciously appointed guest rooms and suites which are culturally inspired and displayed in a chic and contemporary style. With cosmopolitan surroundings amidst the bustling commercial streets of the city centre, and a convenient location to many of the city’s renowned attractions, the Le Méridien Thimphu is a great choice for hosting business meetings, and the perfect jumpstart for an memorable holiday in Bhutan. Turn up in the hotel’ two restaurants – an all-day dining venue and a speciality restaurant – as well as a bar to discover a plethora of gastronomic delights and get yourself tantalizing cocktails prepared and served with chic flair. From the hotel, Memorial Chorten, Tiger’s Nest Monastery, Gangtey Monastery, Punakha Dzong and Arts and Craft market are in short distance. While the hotel in Thimphu settles between the mountains, the Le Medirien Paro has an exquisite view of the Paro River. The elegance in architecture and decoration lays in the use of wood veneer walls, hardwood floors, turquoise accents and a large Buddhist khorlo (prayer wheel) on the wall as an emphasis of the rich Bhutanese culture in design. The hotel’s Explore Spa will help guests to relax their body and revitalise the senses with innovative therapies and local herbs. While enjoying the treatments, you can take a look outside to see the spectacular view of the Paro valley. Guests who had stayed with Le Medirien hotels are satisfied with their stay and totally recommend it to others to come and live the experience themselves.